Tell us a bit about your background, Jack. I started playing cricket at the age of eight or nine for Wookey Hole. Martin Coppell and his son Steve coached a small group of us for a couple of years, before I moved to Glastonbury CC under Dave Beal. My coaching career didn’t really begin until Wells CC kindly put me through the ECB (England and Wales Cricket Board) Level 2 coaching course when I was 18, at which time I was at the University of Gloucestershire. During the summer breaks I would come back and play for Wells, but also coach a junior side and deliver the Chance To Shine project in several local schools in Wells alongside Corinna Thompson. Give us an overview of the cricket scene in Wells. Wells only has the one cricket club (Wells CC! ), but there are a few local sides in Horrington, Wookey Hole, Dinder and Croscombe. Wells CC offers cricket for all ages, with the ECB All Stars initiative being run fantastically by Corinna Thompson and the Lane family, catering for five- to eight-year-olds. We also run U11, U13 and U15 junior sides coached by myself and a few volunteers from the senior sides. We have two Saturday league teams that play in Somerset Division 1 and Division 8N. As well as a women’s team and a friendly midweek/Sunday team. How difficult is cricket to take up as a sport? Can kids pick it up easily? Cricket is easy to get into providing you get the right experience first. Starting young with Kwik Cricket at school or the All Stars programme is super fun and engaging, before graduating up to the hard-ball game at U11+. With many different elements to the game (batting, bowling, fielding, wicketkeeping), there are so many opportunities to do something different. I guarantee there is a part of the game you will love. In your view, is cricket thriving in Wells? Cricket in Wells has yo-yoed in my time (since 2009/10). The last two seasons has seen the 1st XI gain back-to-back promotions and they’re now playing at the highest standard in the club’s history. Junior numbers have been up and down, but are helped by funding initiatives such as Chance To Shine and All Stars. There is certainly a desire and passion for cricket in our younger age groups, and if that can be nurtured and encouraged then the future looks great. There’s a World Cup and an Ashes series in England this year, so let’s hope those will inspire people to try cricket. 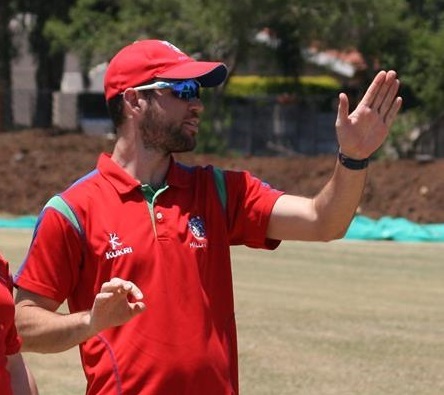 Tell us a bit about your coaching qualifications and the pathway to becoming a cricket coach. I first completed my Level 1 coaching course, which allowed me to be an assistant coach to a Level 2. Then I did my Level 2, at which point I could lead a session on my own. Since then I have completed six different CPD workshops on various coaching subjects, before completing a Diploma in coaching young people and adults a couple of years ago. I’m about to start my ECB Level 3 qualification, which begins to look into coaching performance cricketers (helped by my coaching commitments with Somerset CCC and Millfield School). I would encourage anyone interested in cricket or a cricketing parent to find a course and get involved. Very little cricket knowledge or ability is required for the beginner’s courses, so get stuck in. If someone reading this wanted to start playing cricket this year, how can they get involved? Find your local club (hopefully Wells CC) and just turn up to a training session. The club contact details and training times can be found on Facebook and Twitter, or by emailing wellscricketclub@hotmail.com. Winter training will commence at the beginning of February, with juniors on a Wednesday evening and seniors on a Sunday at Wells Blue Sports Centre. The season will begin in May with a few pre-season fixtures taking place mid/late April, running through until September.